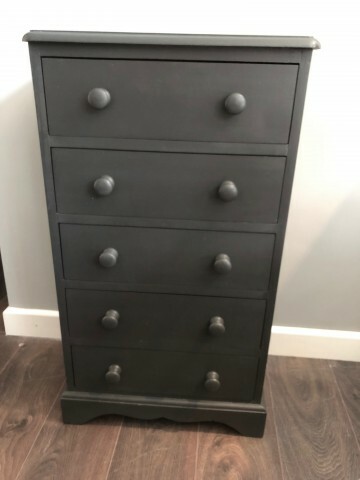 Chests of Drawers are a vital part of every bedroom, sometimes, when space is limited they can double up as a bedside table. If you can match the height of pieces either side of a bed this not only looks great but provides so much more storage too. 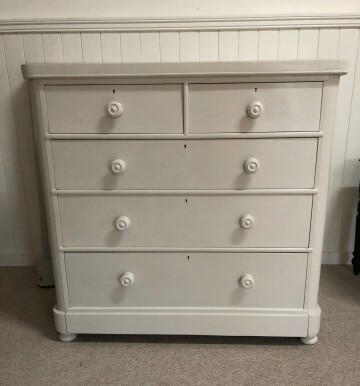 Demand is always high for a Pepperbox Chest of Drawers and we do our best to keep a good stock level of hand painted and unpainted pieces however sometimes we do run low. Please check back regularly as we add new items just as fast as we can but they do sell quickly sometimes selling before they have even been added to the website let alone delivered to the shops. Do use the get in touch form at the bottom of this page if you are looking for something specific and we will do our best to let you know should a suitable piece be in the "pipeline"!